It's a popular phrase used to describe people, things, and ideas that just don't mix—"like oil and water." Except it's not entirely true. Oil and water can mix, and can be very difficult to completely separate when brought together. Think of environmental oil spills or wastewater treatment, and you quickly realize that separating out unwanted oil to restore water to a natural or pure state can be a monumental task. 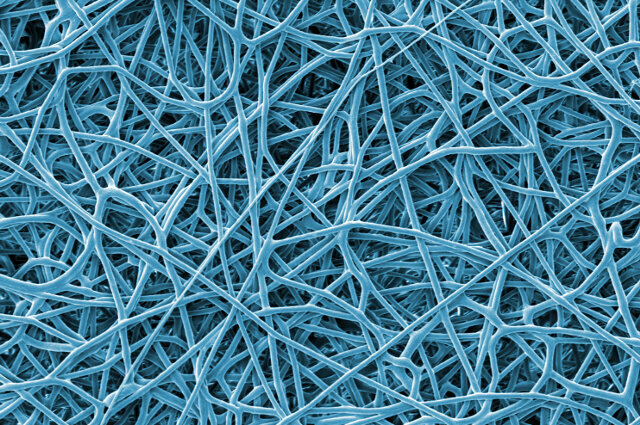 The advance in material science could be a game changer in the battle against pollution. It's well known that oil-contaminated water can have long-term harmful effects on wildlife and the environment. Current strategies to mitigate that harm include burning the oil in place or using mechanical devices, such as booms, skimmers, or absorbent material, to help clean up the mess. In practice these methods are expensive and not very effective, particularly for cleaning up large oil spills. "Filtration is a simple, energy-efficient water treatment method, and might be an effective way to clean up these oil spills," said Ayse Asatekin, an assistant professor in the Tufts School of Engineering and corresponding author of the study, published in the journal ACS Applied Polymer Materials. "A separation membrane is relatively inexpensive and reusable, and the clean-up technology covers a small footprint. Through our collaboration, we developed a novel filter material that can do the separation and keep up a high flow rate without getting fouled by accumulating oil."